Pop It – Somewhat like Digging a story, which keeps the video going higher. What’s most impressive, for me, is how Popscreen manages to add so many features while still keeping the playback smooth. Other video services that I’ve looked at in the past tend to get very choppy with any sort of custom overlay. It’s a cool site, with a lot of potential. But, in order to fully shine, it needs users. 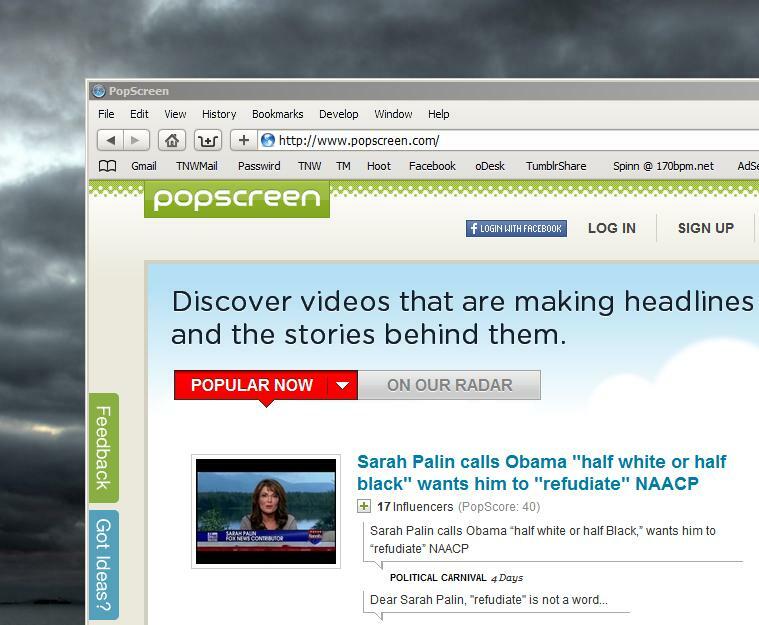 So head over to Popscreen and give it a spin. Let us know what you think.